● Browse the large sale section to benefit from models selling for up to 50% off. Join the email club to receive further information on special discounts. ● There is no need to reach a minimum order price, since all orders ship free. This seems to be an ongoing offer, but might be subject to change without notice. ● Coupons for 10-15% off the entire order are occasionally published. Often, codes for up to 25% off exist for specific shoe lines. 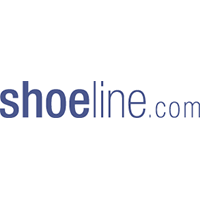 Shoeline.com is an online footwear retailer that offers just about every brand you could ever possibly imagine. You can also shop specifically for men's shoes, women's shoes, shoes according to certain colors, and you can even look for essential accessories. Some of the women's brands available include Acorn, Born, Born Crown, Carolina, Dingo, Double H Boot, Hush Puppies, NoSox, Rider, Supremes, and several others. Some of the men's brands include Flexus, Bass, BOC, McRae, Pro-Step, Dan Post, Spring Step, Vintage, and many more. You can find something that matches up to what you want in a brand, a size, a color, and anything else you require in reliable footwear for your busy life. For most up to date offers check out Shoeline on Facebook and Twitter or contact Shoeline Support for any questions.